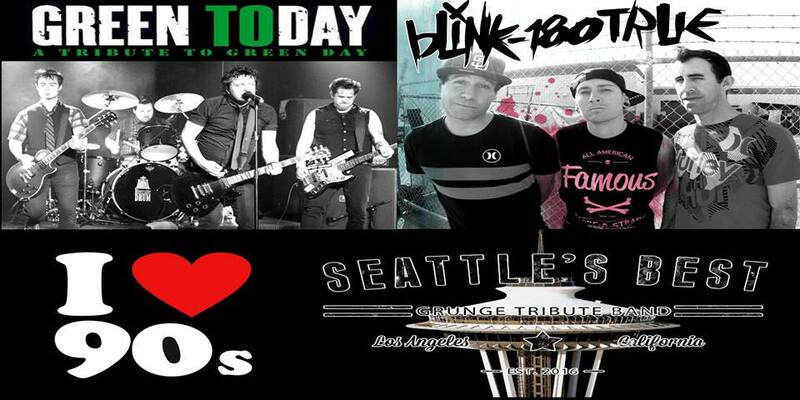 “Celebrate the best of the 1990’s when California’s top tribute acts to Green Day, Blink 182 & Seattle’s Best converge on Sage Lounge in Whittier for this epic flashback concert! Come early and enjoy Happy Hour till 7pm and/or Dinner which is served till 930p. Doors open at 7pm for the Main Room where the bands will play. Show starts at 9:30pm. You do not have to print the tickets, you are able to show them on your phone at the door.